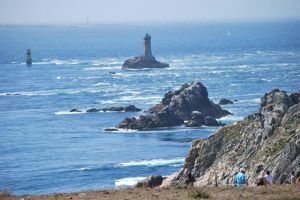 A little more than an hour away from our campsite, on the Crozon Peninsula, is the “Pointe du Raz” (tip of land). This overhanging place is located near the town of Plogoff. 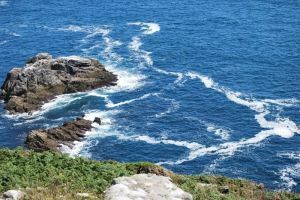 Every holiday maker can enjoy there the most amazing sea view. This place is magical; the show of waves splashing on the cliffs creates a unique sound atmosphere. During a visit in South Finistere, don’t miss out on going to the “Pointe du Ratz” to admire this wonderful natural landscape.